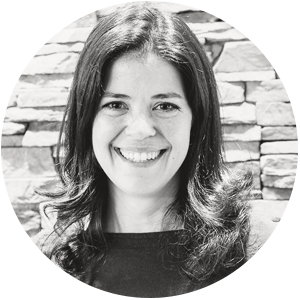 This week’s ambassador spotlight shines a light on Marie-Pierre Capistran of Pretty Please. 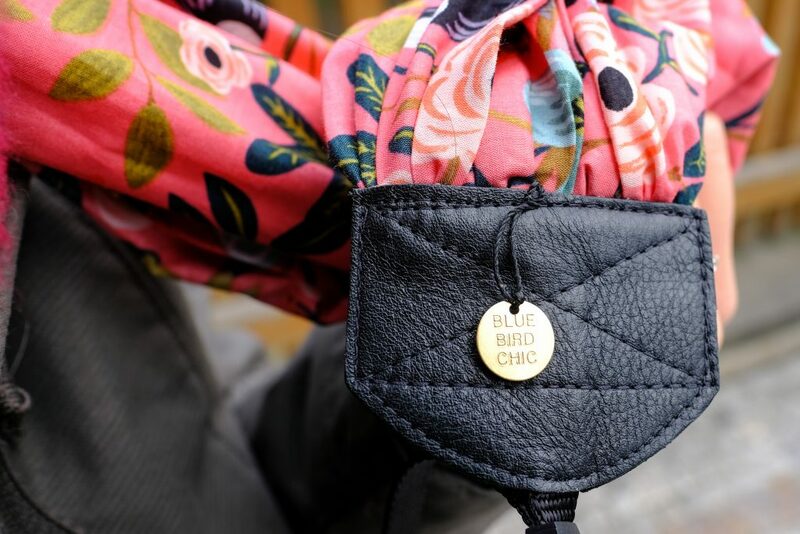 Read on to find out more about Marie, see some of her work, and find out which bluebird chic strap is her personal favorite! Marie is an artist at heart and has been crafting for many years. 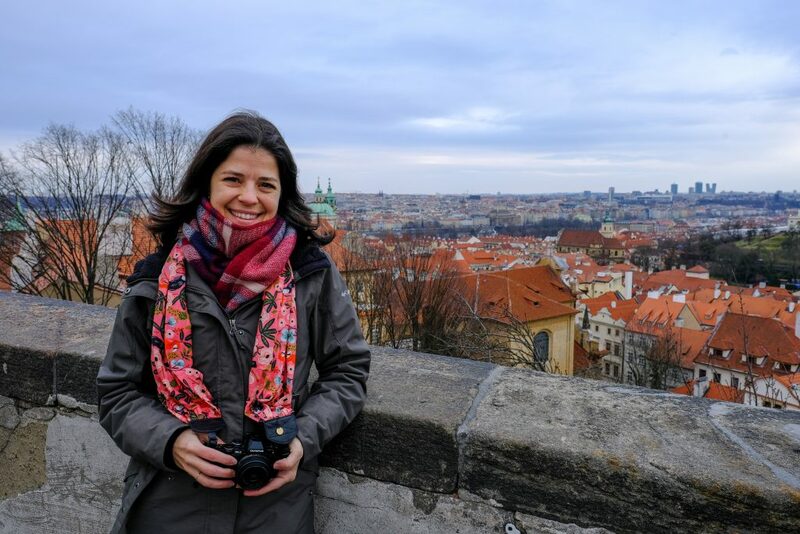 She enjoyed working with many different types of crafts including watercolor, paper cutting and calligraphy before she fell in love with memory keeping in 2008, which is now her biggest passion alongside photography and writing. Marie is currently on her fourth year as a member of the Get it Scrapped design team. She also designs for Citrus Twist Pocket Life Kits and writes for the French magazine Entre Artistes. Her work has been featured with Amy Tangerine and Shimelle Laine. You can find Marie on her blog, Pretty Please. 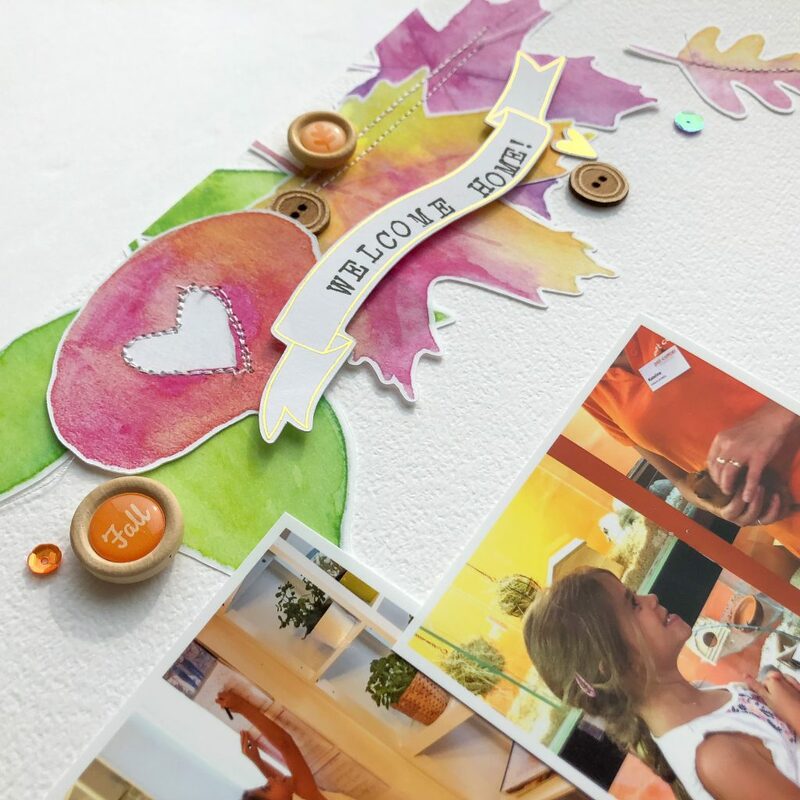 How long have you been a scrapbooker? 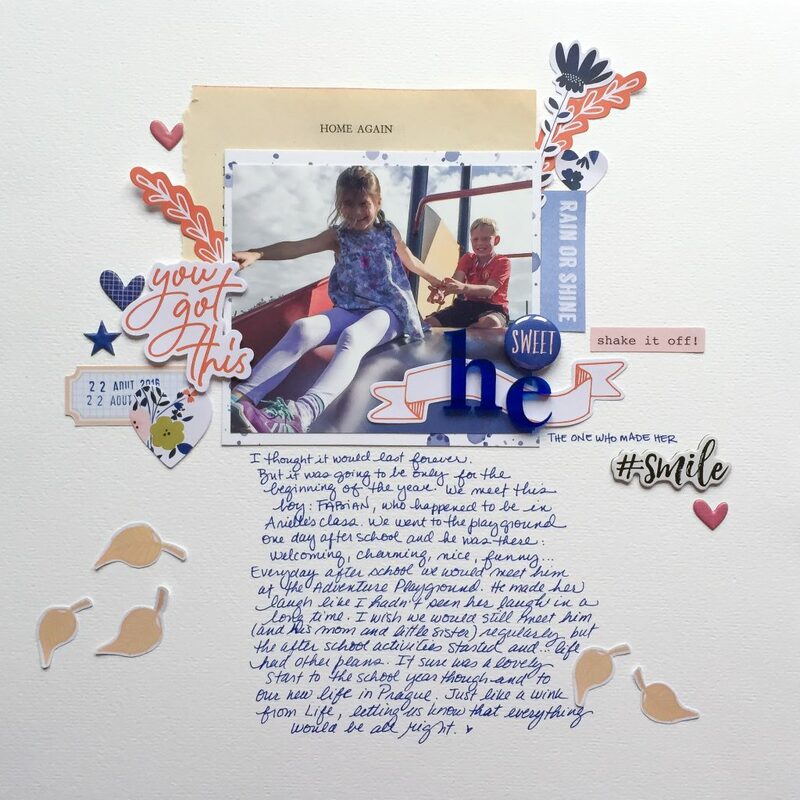 I started scrapbooking when I was pregnant with my first daughter in 2008. 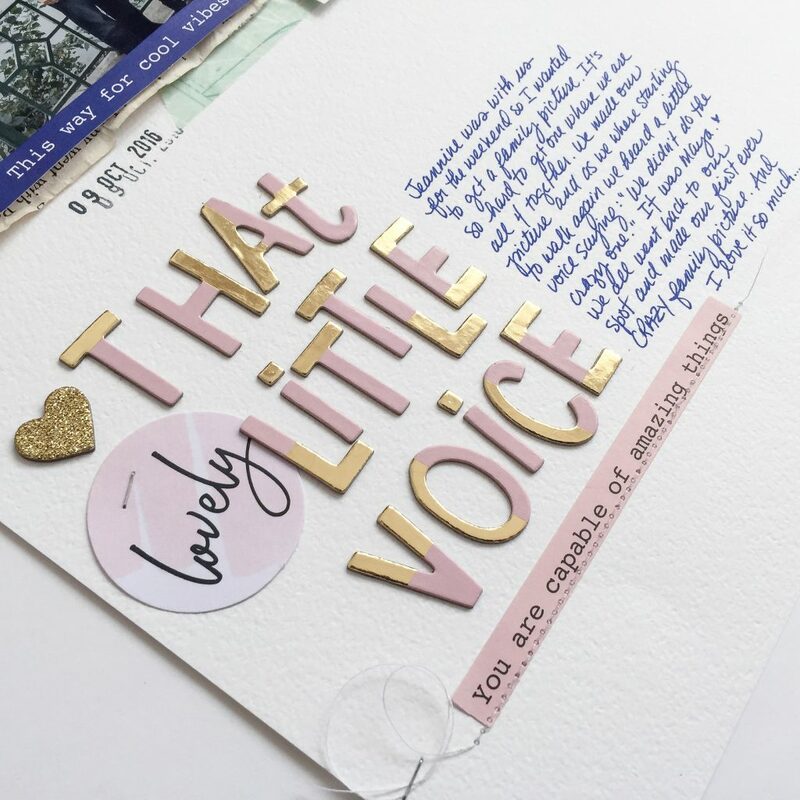 I scrapbooked for many design teams until I was offered the opportunity to design my own line of products with Pretty Little Studio in 2016. Since then I’ve designed 4 collections. 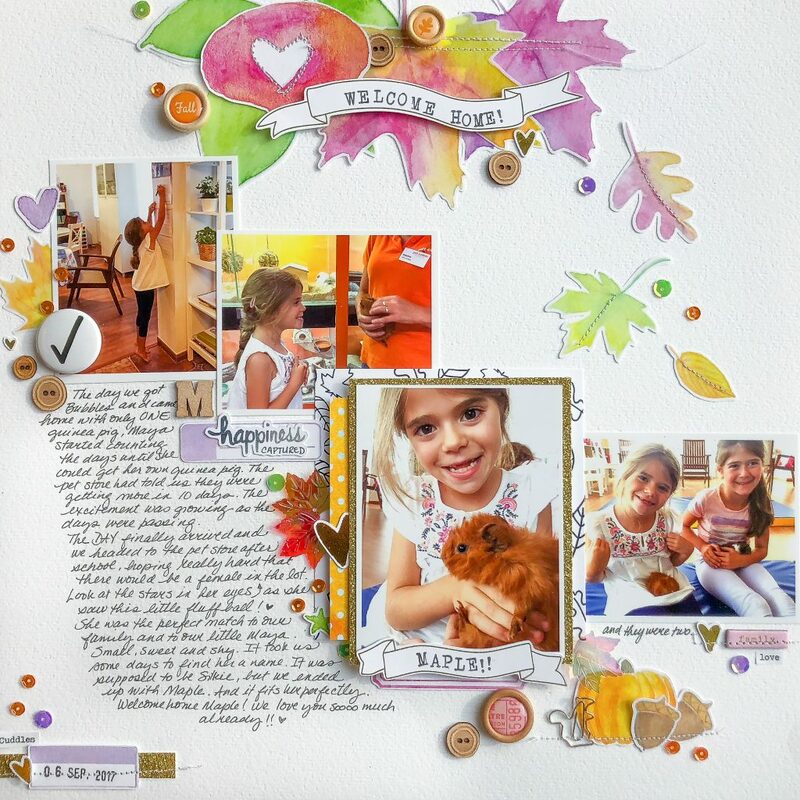 What is the best part of being a scrapbooker? 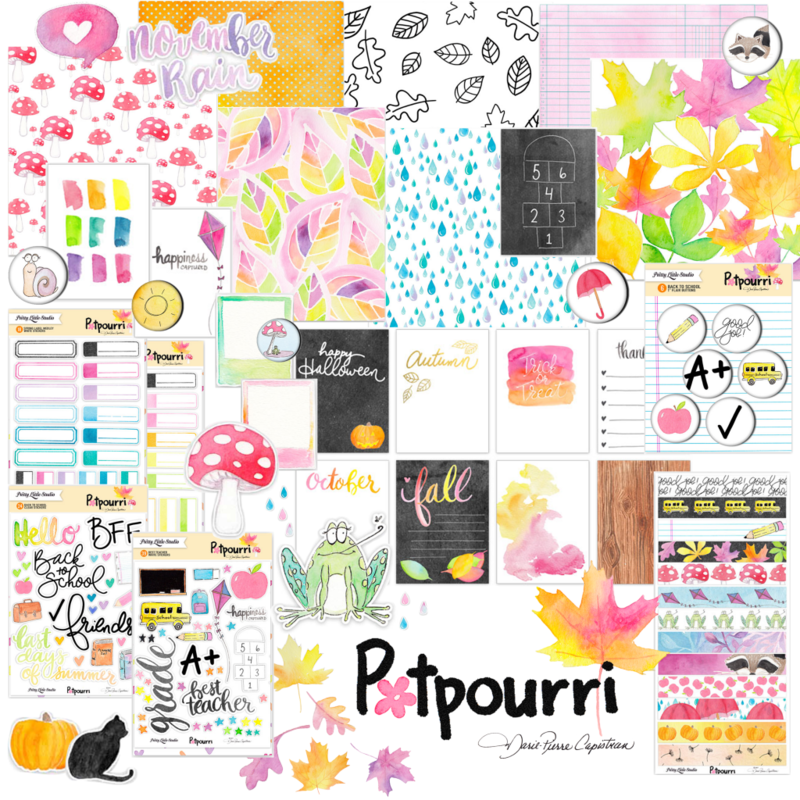 Scrapbooking quickly became a way of life for me. I was thinking, breathing and eating scrapbooking 24/7. I was looking for things to document, I took classes online, I was part of the community. Scrapbooking made me a better person. 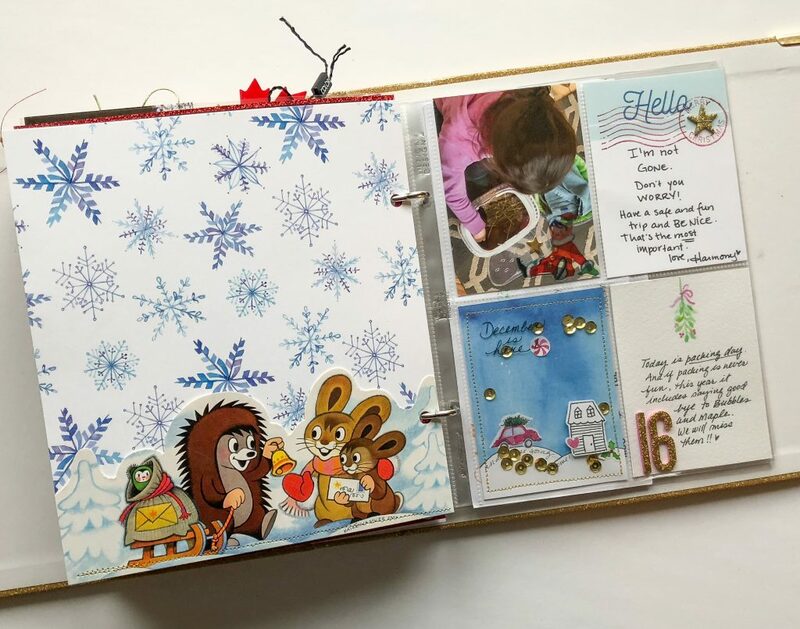 How has your scrapbooking evolved over the years? Over the years I developed my own style. I started following and studying scrapbookers I loved and I found my way of doing things and of telling stories. I was known for a soft look and for playing with watercolor. That’s what made Melissa Ross, the owner of Pretty Little Studio, ask me if I could make a collection for her. She wanted a watercolor line. That’s how I started designing collections. 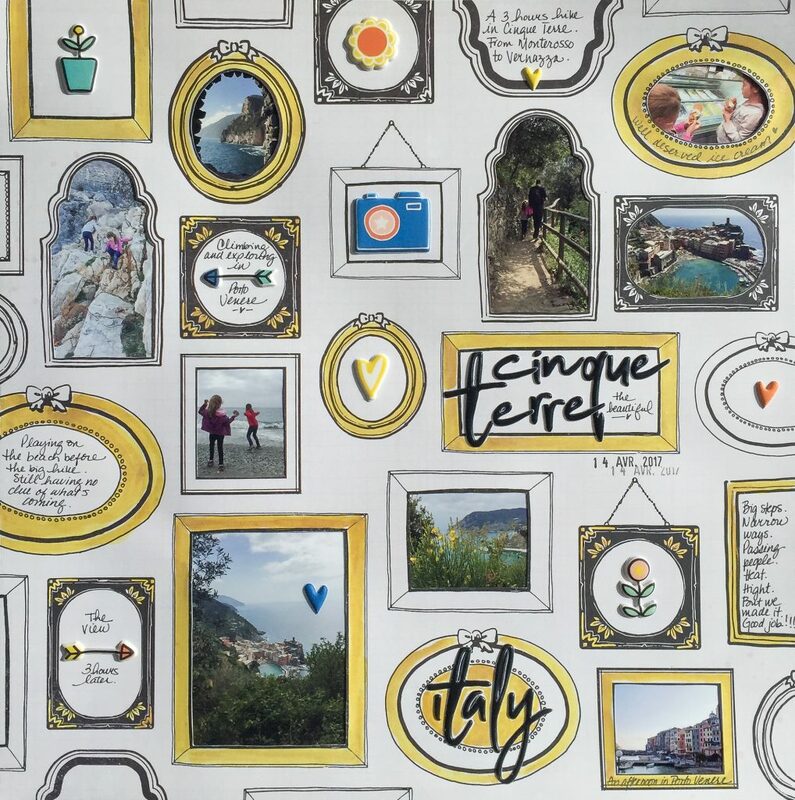 Which of your scrapbooking achievements are you most proud of and why? What I am most proud of are the paper collections I designed. It was definitely a dream coming true and it came after lots of hours invested in the practice of my hobby. What kind of camera(s) do you own and what role does it play in your scrapbooking? The camera I use most is my iPhone camera. Right now I have an iPhone X, but I’ve made some very photos with my iPhone 6 before that. My iPhone is always on me because I don’t want to miss a photo opp. I also have an Olympus E-M10 camera, which is pretty compact and make photos comparable to those of a DSLR. I use that one when I purposefully go somewhere to take photos: on a day trip, on a vacation, at a wedding, etc. I really love my “Flowering Rainforest” strap because it is so vibrant and happy! Until now I had always chosen neutral styles, but I’m glad I went for the bold choice this time. Now that I have three different styles of straps, it will be fun to change them as my mood goes and as the seasons change. Marie-Pierre’s ambassador pick, the all-new “Flowering Rainforest,” will be in shops soon! Thanks for sharing with us today Marie-Pierre and for supporting the bluebird chic brand!